The practice of Yoga has the potential of adding great value to organizations. 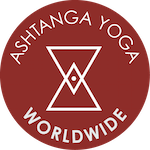 At Ashtanga Yoga Worldwide we offer Yoga classes to busy professionals. Our intention is to help individuals enjoy the benefits of a Yoga practice without having to leave their workplace, so that they can be healthier and more present while fulfilling their job duties. The benefits of Yoga have been proven to enhance any work environment. While flowing through a Yoga class, the synchronization of breath with movement promotes the health of respiratory, digestive, and cardiovascular organs. Vital and de-stressed employees are motivated, productive, and more likely to create a collaborative and cohesive work environment. We are confident that we would offer something unique, authentic, and of value to your work team. We are experienced working with a vast range of people from all walks of life and ages. We believe Yoga can be practiced by anyone regardless of fitness level or movement background. Our teaching style focuses on bringing awareness to the breath to help the mind stay present through the movement. We believe in creating a Yoga practice that is purifying, dynamic, and meditative in a safe and nurturing environment. If you are interested in providing Yoga classes at your organization, please feel free to contact us by phone or email. Each person will need a yoga mat and comfortable clothes that allow movement. I could help you make a bulk purchase of yoga mat for your team. This way it will be guaranteed that everyone will have a mat. The class will be designed to meet the needs and skill level of the group in a calm, encouraging, and safe environment. The main focus will be to learn to use our breath as a guide for our movement. We will begin with a centering exercise arriving in our seat, followed by breathing exercises linking our movement, sun salutations, select standing poses and seated postures, easy and mild backbends, and available inversions. We will close with a seated meditation and time to rest. Modifications will be offered so everyone will be included and stay present. Contact me to arrange a free consultation at your work space.